This here is as different from your “vinegar flavoured condiment” that it is possible to get. This here, is the real thing. 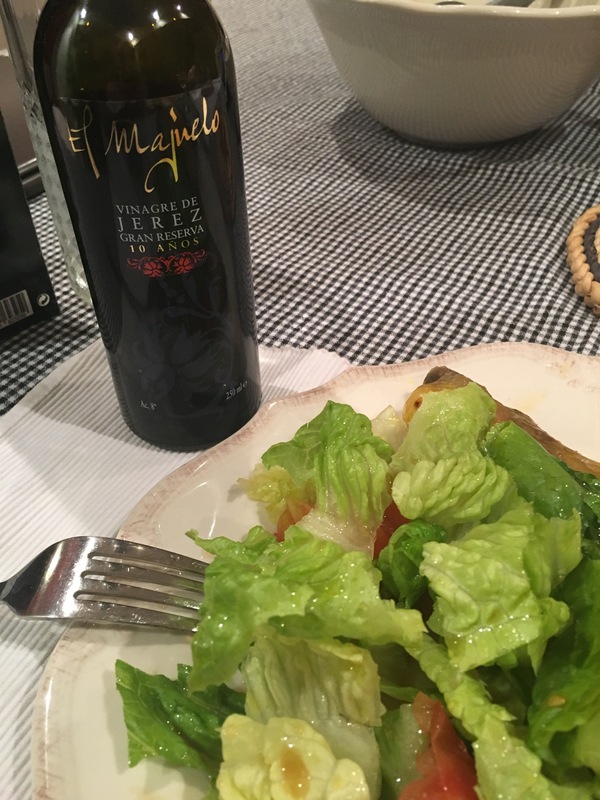 A generous gift from a friend (searching on line to find out more about it I discovered how generous) this is a limited, numbered edition 10 year old “gran reserva” vinegar, here being utterly wasted on a mixed salad by the ignoramus responsible for this blog. (Having said that, ever since I have been wracking my tiny brain for suggestions of what dish is good enough for such a vinegar, with no luck so far). How to describe it? Well it is to your standard white wine vinegar what a VORS oloroso is to a mosto – incomparably more intense. Full bodied and dark in color, it has the most unbelievable aroma (I knew I had made a mistake right away) and is even more incisive taste wise. A really intense experience. Really worth looking out for this stuff – a really eye opener. My family just brought me back a bottle from their travels in Spain. Google brought me here looking for suggestions on how to use it.. I can’t wait to experiment! With care! Just enjoy the intensity of it.